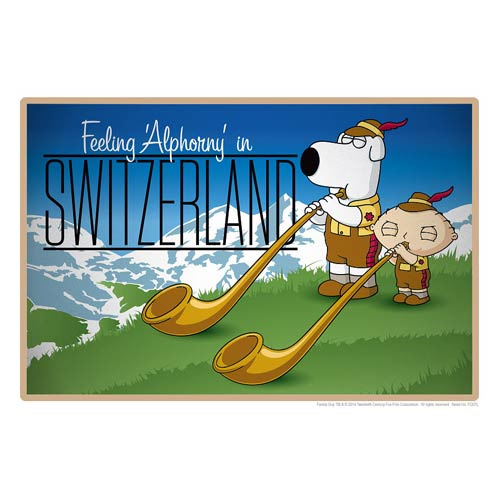 "Feeling 'Alphorny' in Switzerland." Travel the world with Stewie and Brian Griffin! The belovedFamily Guy characters take you to Alps in this postcard-style print. A limited edition of 395 hand-numbered prints, each piece measures 13-inches x 19-inches and includes a certificate of authenticity.